Seam sealer is the adhesive used to seal the seams of several sheet flooring products, including rolls of cork flooring, rubber flooring, sheet vinyl, and broadloom carpet. 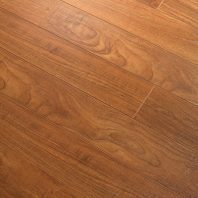 The most vulnerable parts of an installed flooring product are the joints between the sheets or the seams adjoining the material. Seam sealer is used to fuse or weld adjacent pieces. Well bonded seams reduce the risk of an installation failure. 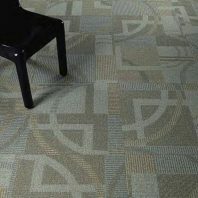 Whether the flooring product is a roll of cork, rubber flooring, sheet vinyl, or broadloom carpet, seams that open are unsightly and present a potential trip hazard, which is especially intolerable in a commercial environment. Furthermore, opening seams in resilient sheet goods (i.e., sheet rubber and sheet vinyl) may collect sand or may allow moisture to seep under the flooring, which can lead to mold growth and adhesive failure. 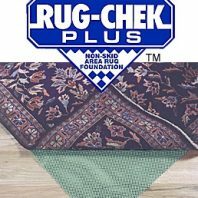 Opening seams in carpet may permit the carpet's edge to unravel or permit the carpet backing to delaminate. Some manufacturers require that seams be sealed in order to maintain their product's warranty. According to manufacturers' instructions, some seam sealers ought to be applied to both edges being joined together. Other manufacturers instruct that seam sealer be applied to only one seaming edge. We apply a fine, continuous bead of seam sealer on the perfectly cut seaming edges of adjacent rolls. We abut the two edges together while the seam sealer is wet. The act of applying is called "buttering the seams," as industry slang. The curing time for seam sealer will range from minutes to nearly 24 hours. For broadloom carpet, the seam sealer is typically a liquid latex-based adhesive or solvent-free polymer-based adhesive. For rolls of rubber and cork flooring, the seam sealer is commonly a polyurethane-based adhesive. For sheet vinyl, the seam sealer is customarily a solvent-based or two-part adhesive. When installing resilient goods, we select the type of seam sealer that is suitable for the resilient floor's wear layer.